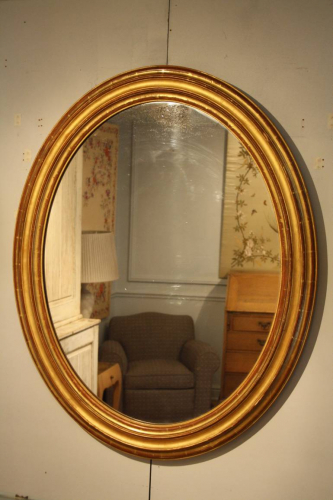 A lovely example of a water gilt oval mirror with original mercury glass mirror plate. French C19th. Some areas of natural distress to mirror plate but this does not affect overall reflection. A nicely proportioned and very good size mirror.